Why doesn't Sandstorm just run Docker apps? 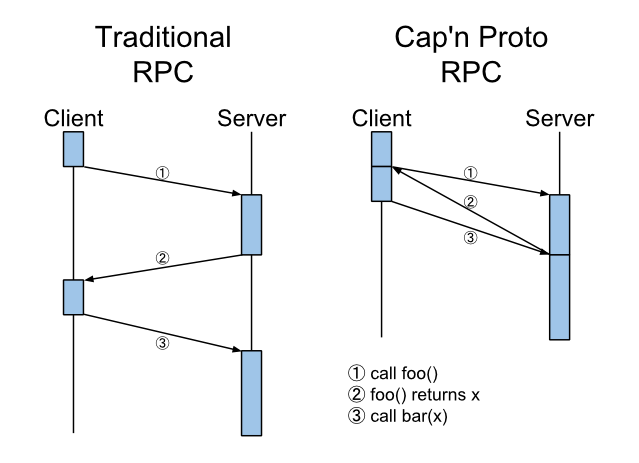 Cap’n Proto is an open source serialization and RPC protocol being developed as part of the Sandstorm project. Today, we’ve released version 0.5 of Cap’n Proto with lots of goodies, including new features like generics and support for additional compilers and languages like Visual C++, Java, and C#. Much of the work comes from a large number of awesome open source contributors. So, what does this have to do with Sandstorm? 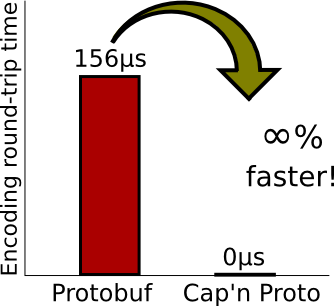 Many developers are excited by Cap’n Proto for being “like Google’s Protocol Buffers, except infinity times faster”. When it comes to Sandstorm, though, the design of Cap’n Proto’s RPC system is far more important than the speed of its encoding. Sandstorm is a capability system: applications can send each other object references and address messages to those objects. Messages can themselves contain new object references, and the recipient implicitly gains permission to use any object reference they receive. Essentially, Sandstorm allows the interfaces between two apps, or between and app and the platform, to be designed using the same vocabulary as interfaces between objects or libraries in an object-oriented programming language (but without the mistakes of CORBA or DCOM). Cap’n Proto RPC is at the core of this. This has powerful implications: Consider the case of service discovery. On Sandstorm, all applications start out isolated from each other in secure containers. However, applications can (or, will be able to) publish Cap’n Proto object references to the system representing APIs they support. Then, another app can make a request to the system, saying “I need an object that implements interface Foo”. At this point, the system can display a picker UI to the user, presenting all objects the user owns that satisfy the requirement. However, the requesting app only ever receives a reference to the object the user chooses; all others remain hidden. Thus, security becomes “automatic”. The user does not have to edit an ACL on the providing app, nor copy around credentials, nor even answer any security question at all; it all derives automatically and naturally from the user’s choices. We call this interface “The Powerbox”. Moreover, because Sandstorm is fully aware of the object references held by every app, it will be able to display a visualization of these connections, allowing a user to quickly see which of their apps have access to each other and even revoke connections that are no longer desired with a mouse click. Cap’n Proto 0.5 introduces primitives to support “persistent” capabilities – that is, the ability to “save” an object reference to disk and then restore it later, on a different connection. Obviously, the features described above totally depend on this feature. The next release of Cap’n Proto is likely to include another feature essential for Sandstorm: the ability to pass capabilities from machine to machine and have Cap’n Proto automatically form direct connections when you do. This allows servers running on different machines to interact with each other in a completely object-oriented way. Instead of passing around URLs (which necessitate a global namespace, lifetime management, firewall traversal, and all sorts of other obstacles), you can pass around capabilities and not worry about it. This will be central to Sandstorm’s strategies for federation and cluster management.